There's a great event tomorrow for young men--and for the community to support them. 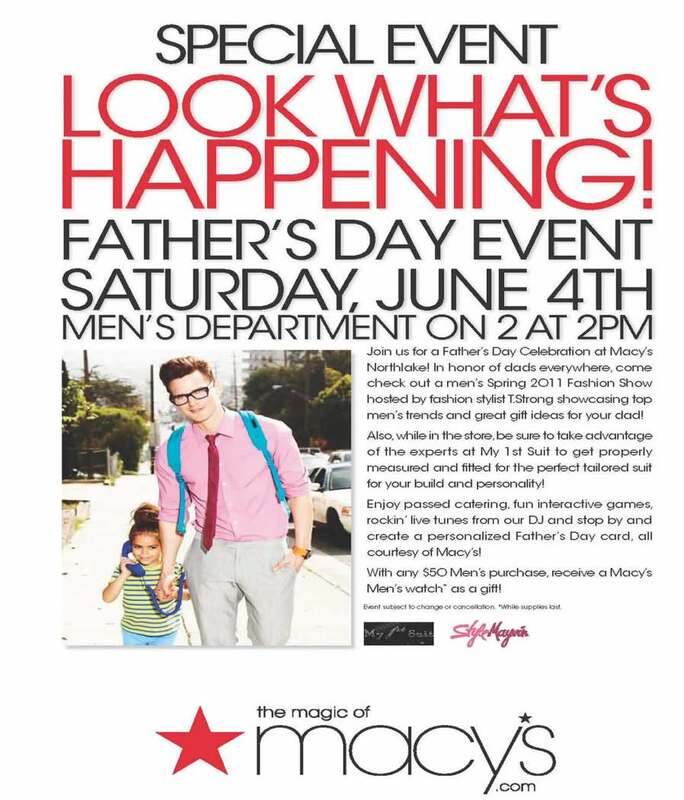 The Magic of Macy's and My 1st Suit Men's Event takes place Saturday, June 4, 2-4 p.m. at Macy's at Northlake Mall (6801 Northlake Mall Dr.). My 1st Suit is a nonprofit organization that works with men primarily ages 18 to 26 years old to help build their self-esteem and improve their lives. The organization puts the young men through a character-building program and at the end of it gives each one of them a custom-tailored suit, which oftentimes is that young man's first suit. 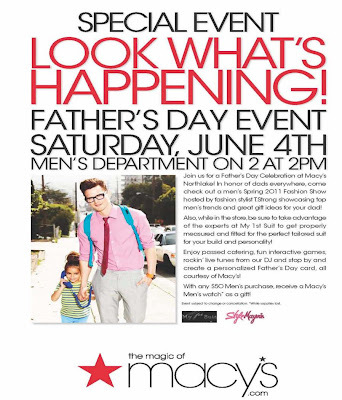 My 1st Suit has partnered with Macy's to put on a free, pre-Father's Day event tomorrow in the men's department (second floor) that will feature a men's fashion show, a DJ, complimentary hors d'oeuvres, and styling consultations by David Washington of DW Designs. The event will be hosted by my friend T. Strong a.k.a StyleMayvin. And My 1st Suit's founder, Chris Williams, will be present to tell the audience about the organization. Come out and support this great cause, and you will enjoy yourself. For more details, visit my1stsuit.com. Below is a video of Chris's appearance yesterday on FOX News Rising in which he talked about the organization and the event.